From 2013-14 I worked as an infographics designer at Cancer Research UK, producing dozens of graphics delving into the statistics of cancer. 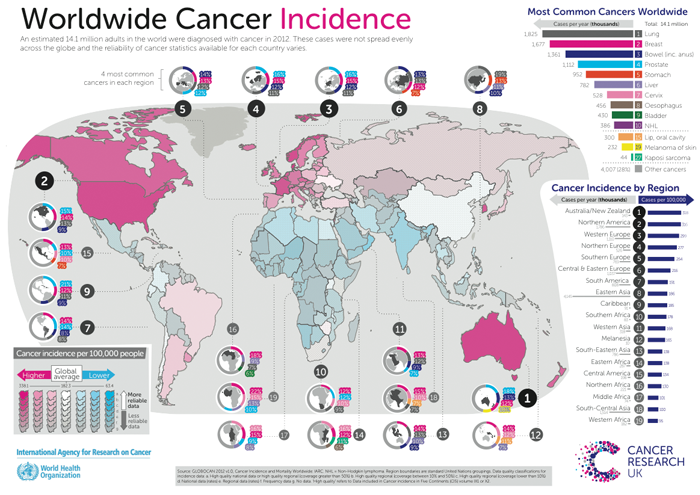 This piece investigates global cancer statistics and was featured on the Guardian. Download a printable pdf here.